If you are searching for a safe and effective outdoor containment system for your pet, but you do not want the dangers that an electric fence can inflict, wireless dog fences and wireless dog fence systems from Best Friend Fence are just what you have been searching for! Our dog fences and dog fence kits are simply the best wireless dog fences, providing the safest and most effective means of keeping your beloved pet secure, while at the same time being visually unobtrusive – virtually invisible! A wireless dog fence is cost-effective and easy-to-install. A Best Friend Dog Fence Kit has everything that you need to create a safe, effective enclosure for your dog. Various fencing heights and lengths are available so that we can make sure that we meet all of the various needs of every customer, pet, and property. If you are a dog owner searching for a wireless dog fence, then you have almost certainly experienced the challenge of finding a safe, yet cost effective outdoor dog fence system for your four-legged companion. Traditional wireless dog fences and wireless dog fence systems use transmitters, radio waves and electric shock collars to contain your pet. These methods can send a small electronic shock through your pet each time it travels close to the fence boundary. Though this shock is not fatal, it is still painful for your pet.This electric shock works as a mechanism to train your pet so that he or she will eventually learn where the wireless fence boundary is and stay clear of it on his or her own. However, if your pet wants to escape badly enough from its containment, it will! Usually, you'll hear a quick yelp and your pup will be gone. It doesn't matter whether the temptation was a nearby squirrel or a passing car – your pet will be able to ignore the temporary shock for the chase. And, to make matters worse, once you track down your dog and attempt to bring him home, you'll now have to forcibly bring him back through the very same fence that shocked him on the way out; only this time there is nothing to entice him to re-enter. 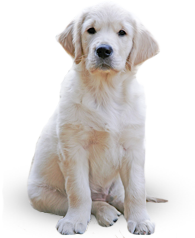 This process can be very traumatizing – for both the animal and the pet owner. 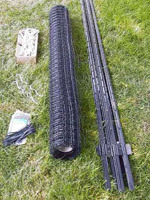 Traditional wireless dog fences and wireless dog fence systems are also destructive to your yard because they require a portion of your lawn to be dug up for proper installation. Obviously, this causes damage to your lawn and can be very unsightly for some time. A new kind of wireless dog fence…Best Friend Fence omits the shock! There are many types of wireless dog fences and wireless dog fence products on the market today, but simply put, none can compare with a Best Friend Fence dog fence kit. Only a Best Friend Fence dog fence can inconspicuously contain your pet while also keeping him completely from harm. Best Friend Fence uses high strength UV resistant polypropylene plastic mesh and steel posts to enclose your property and dog. This wireless dog fence system will contain your pet within a strong and durable mesh – with absolutely no pain! With the Best Friend Fence dog fence system, containment is guaranteed. Your pet will experience no shock while near the fence, and no matter what lure appears on the other side of the boundary, your dog will not be able to ignore pain in favor of escape – it is physically impossible for your pet to simply run right through our dog fence. Another advantage the Best Friend Fence system has over traditional wireless dog fences and wireless dog fence products is, that along with keeping your dog contained, our fences also have the ability to keep unwanted guests out! Other wireless dog fences can only contain a pet that is wearing a specific device-laden collar and, thus, they do not work to keep other animals and critters out of your property and gardens. The Best Friend Fence dog fence system keeps your pet safe because it restricts your pet's movement to dangerous places, and it also deters other animals (and even people) from entering your property and causing harm or damage. With Best Friend Fence, our simple instructions or professional installation options provide you with an effective and virtually invisible dog fence in no time. Accept no substitutes…Best Friend Fence Wireless Dog Fences will give you real property and furry friend protection, without the shock! Best Friend Fence can give your dog the freedom to roam in your yard, while giving you the peace of mind that your pet is completely safe. 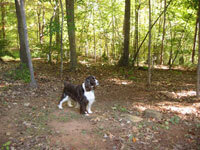 To learn more about our dog fence kits, please click here. Or, contact us today so we may answer any questions you have. We look forward to working with you – and your four-legged friend!